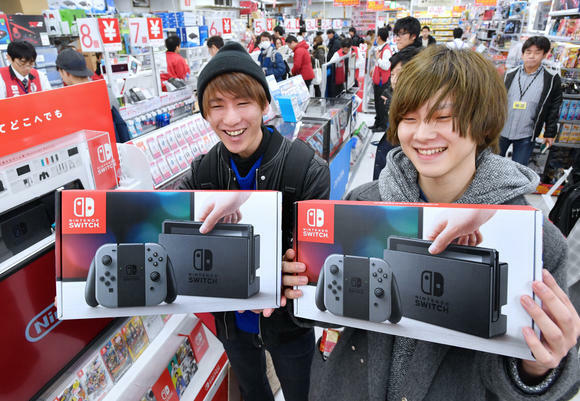 Japanese company Kadokawa reports Nintendo Switch hardware sales have officially surpassed 5 million systems sold in Japan today. It took 79 weeks for Nintendo to move 5,007,368 systems in Japan alone. Top 5 selling Nintendo Switch games include Splatoon 2, Super Mario Odyssey, Mario Kart 8 Deluxe, The Legend of Zelda: Breath of the Wild, and Kirby Star Allies. Please keep in mind numbers may vary from Nintendo’s internal figures, and game sales do not include digital sales.